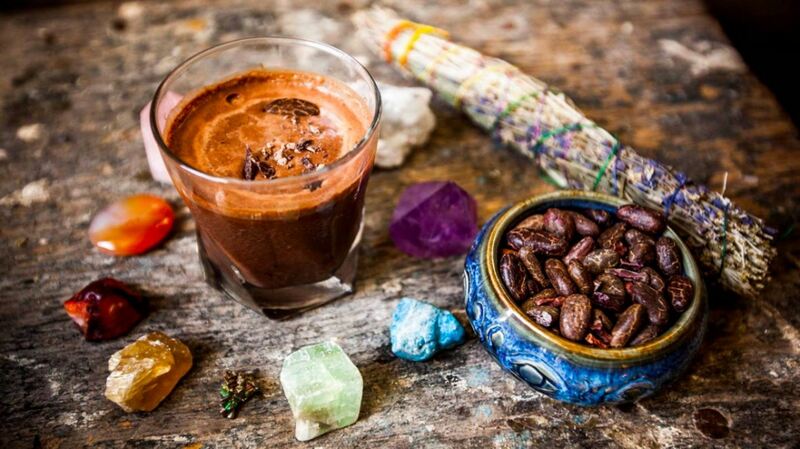 The Mystical Yoga Farm is home to a variety of retreats, from yoga and spiritual experiences, to courses on permaculture and sustainable farming, and more. We provide magical experiences for groups with comfortable accommodations, food, sacred gathering spaces, activities, and more... and we take care of all the "behind the scenes" so facilitators can focus on their teachings. Here are a few retreats that we have had the honor to host in recent months here at the Farm. Our collective intention is powerful. We have everything we need to claim liberation, ease and joy. Tiya & Kelley came together for this sacred time to create the space needed to focus on what freedom and liberation look like in our own lives. By stepping away from our norm and day to day distractions and repsonsibilities, we are embodying the practice of the yoga principle of #Pratyahara (withdrawl of the senses) with the intention of gaining new perspectives, reaffirming our true nature and grounding ourselves in our collective power. We are traveling as a small group with only 10 spots available. Using the power of yoga, meditation, self study and new adventures we will explore our own limits, build community and tap into ease. Mireille Chamberland was trained as a classical ballet dancer. She later expanded her expertise to circus arts, particularly contortion. Her artistic activities lead her to explore singing, rhythmic gymnastics, improvised theater, choreography and hand to hand acrobatics. In 2013 Mireille became a certified acro yoga instructor. Robert Strukelj found yoga in 2007. What started as a quest to heal injuries and improve flexibility for martial arts turned into a serious regular practice. This prepared him for what came next. He was introduced to AcroYoga in 2012. It was love at first flight. In 2014, he completed Level 1 and Level 2 AcroYoga Montreal teacher certification. Since then, his passion for technique continues to inspire his teaching as he helps his students gain flexibility, strength, and body awareness. We are inviting you to a playful and transformational six-day Kundalini Yoga experience at the Mystical Yoga Farm! 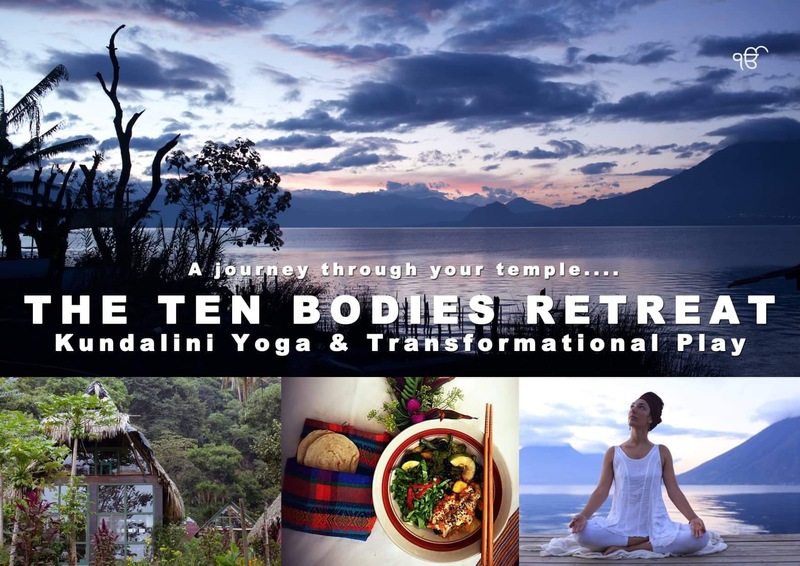 During those six days, we will take you on a powerful journey through your ten bodies. In the same way as we experience our physical body as real, we can get in touch with our other bodies by bringing awarness to their inner qualities. A specific Kundalini Yoga practice, blending with creative workshops, will expand your consciousness to all aspects of yourself. 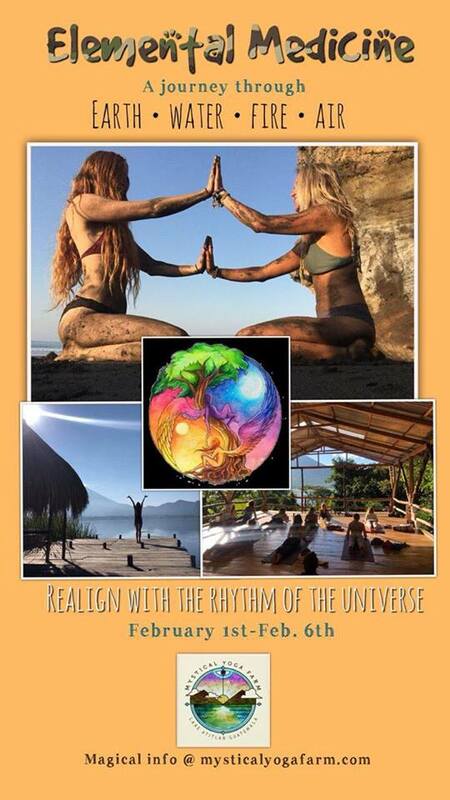 Join us in tropical awakening and renewal of your Inner fire! 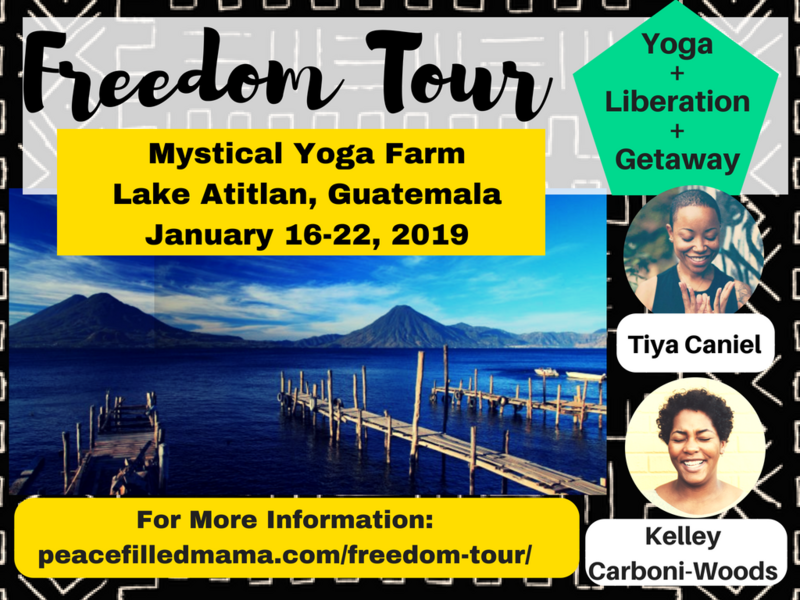 5 days, 4 nights immersing ourselves in Sanctuary on the Shores of Guatemala’s Magical Lake Atitlan We'll explore building our inner fire by reconnecting the body and mind from the roots up. Relish in the timelessness of a tropical nature paradise whilst connecting with the ancient healing traditions of the spiritual Mayan Culture.